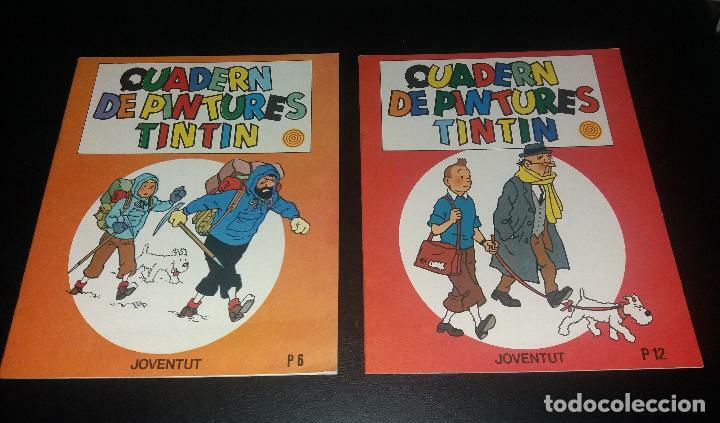 Quadern de pintures Tintin, ed. Joventut, 1981, números 6 y 12. Sin usar, nuevos, procedentes de librería, aunque el Nº6 tiene una mancha en la trasera. Envío (100gr) ordinario 2.8€ o certificado 5.25€ (se combinan envíos según peso). 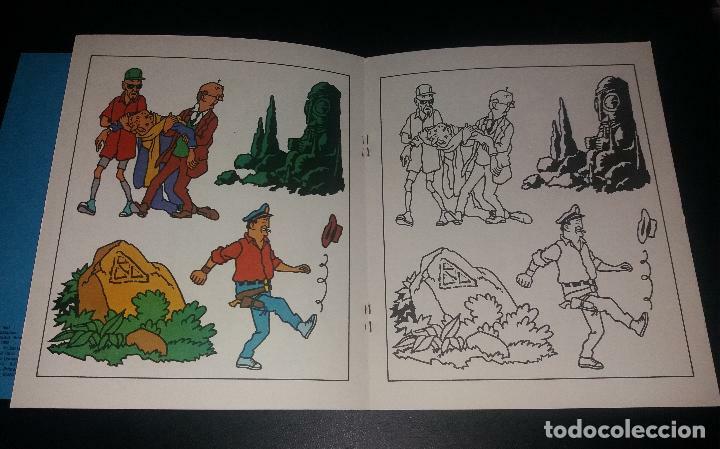 Coloring book about Tintin, Nº6 and Nº12, by Joventut, 1981. 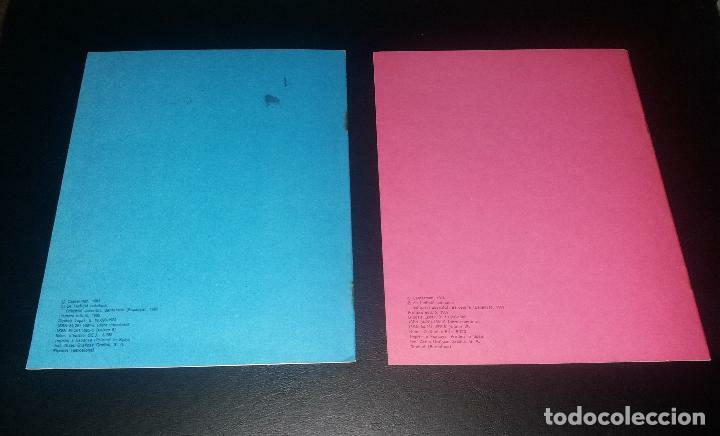 Unused (but some spot on Nº6 back). No Paypal available. Shipping cost to Europe, 6.7€ for standard or 9.65€ for registered with signature (shipping costs are combined depending on total weight). HERGE. LES AVENTURES DE TINTIN . 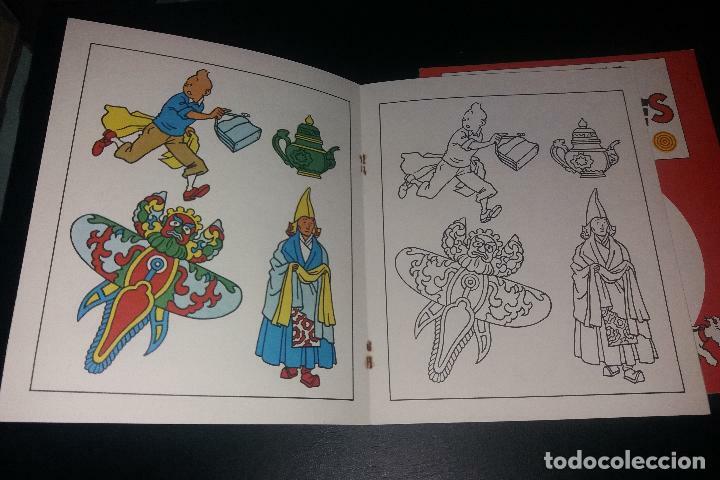 TINTIN AL PAIS DE L'OR NEGRE. EDITORIAL JOVENTUT. 1981. Offizielle Uhrzeit TC: 16:45:44 TR: 184 ms.